A tipster spotted John D. Rockefeller himself visiting his niece and daughter on campus. Very sad and strange news. The man responsible for our education, Matthew Vassar, died today in the middle of giving a speech to the Board of Trustees. BREAKING: Vassar To Let In Men! 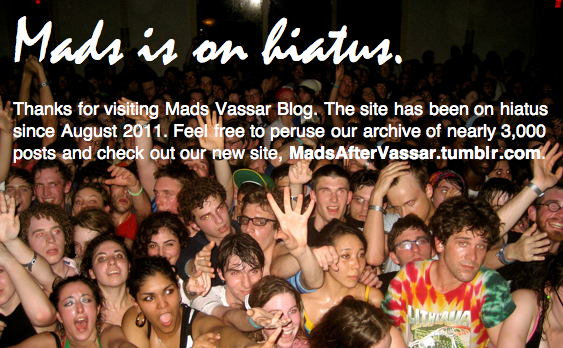 Everything you've known about Vassar these past 108 years is about to change. Officials have just announced that our school will not be accepting men. Alumnae may recall the male students invited following World War II, but this time it's for real. Have you passed by Joss Beach lately? If so, you've probably noticed the army tank that has been placed there. Sources tell us that the French government donated it to thank our students for helping the cause in World War II. Unconfirmed, but we hear from an anonymous source that President Milo Jewett and founder Matthew Vassar haven't been getting along lately.